KPIT, as a socially responsible organization, has taken up to the task of restoring forests, to bring back some semblance in the forested environment. 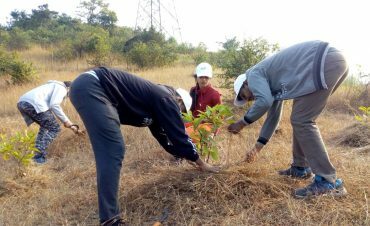 In Maharashtra, the Koyna - Chandoli corridor has been a host of KPIT’s afforestation efforts. Following up with previous year’s efforts, KPIT inclined its’ afforestation labour with the monsoon, ensuring 2500 more saplings were planted, aggregating with 7500 previously planted with an overall survival rate of 80 percent.